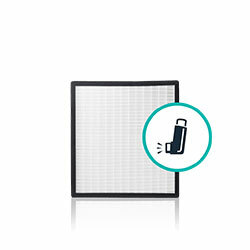 Buy a BreatheSmart with a filter customized for Allergies OR Asthma today and get an additional filter for that concern for 50% off. Alen BreatheSmart Family - Customized to fit your lifestyle. 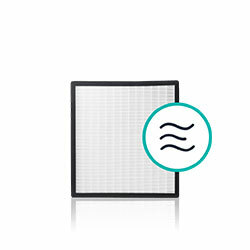 BreatheSmart is designed to effectively purify your air in large and open living room up to 1,100 sq ft leaving you fresh, pure air in under 2 hours. 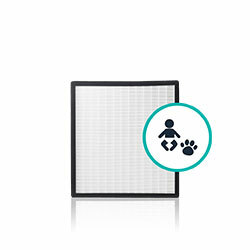 Its smaller brother, the FIT50, shares similar design styles and capabilities and effectively cover medium-sized rooms such as your family room or master bedroom up to 900 sq ft.
BreatheSmart thinks about air quality so you don't have to. Auto Mode intelligently adjusts its cleaning power to achieve the best air quality while maximizing filter life while saving energy and money. 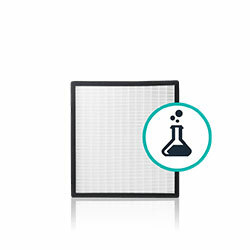 Alen BreatheSmart Air Purifier Smart Bundle has a rating of 4.8 stars based on 104 reviews.